Blogging is a discipline that has changed my life, quite literally. Becoming more proficient in the art and science of blogging has introduced me to amazing people all over the world, landed me a dream job, and helped me earn a living for my family. 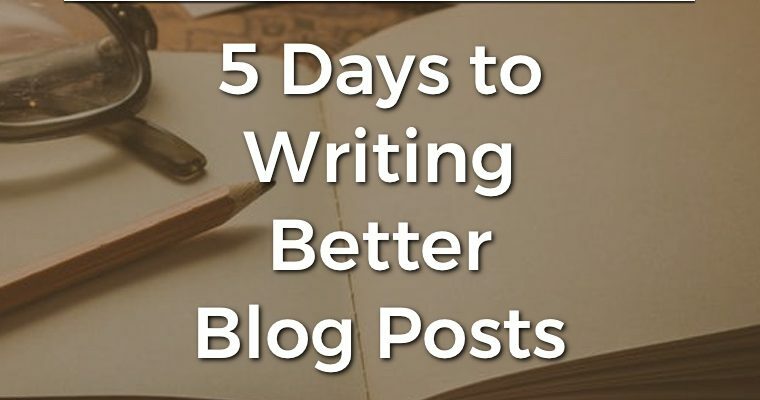 And the essence of blogging can be boiled down to this… writing persuasive copy on a regular basis that draws readers in and moves them to action. That’s it! And I want to help you do just that with this free 5 day email course. Just enroll below and we’ll get started!